Shoji Hamada was born in Misonokuchi, Kanagawa Prefecture in 1894. 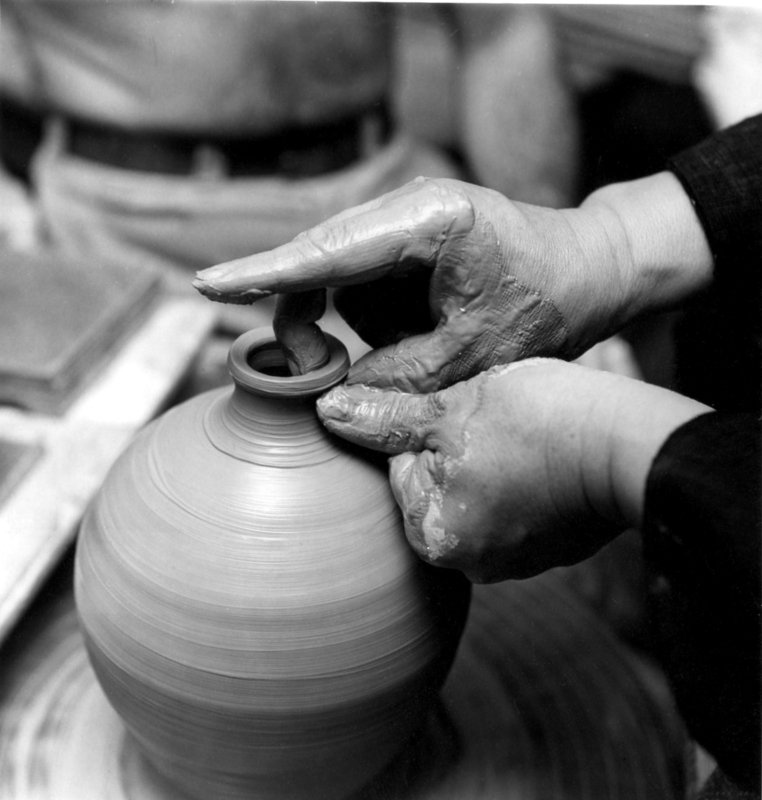 He was to become, without doubt, the most influential potter of the Twentieth Century. 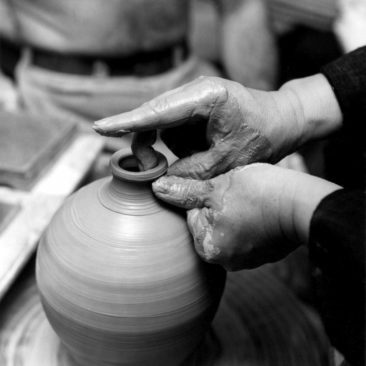 Throughout a lifetime dedicated to making pottery he achieved international recognition and his works have been collected by many of the worlds greatest museums. 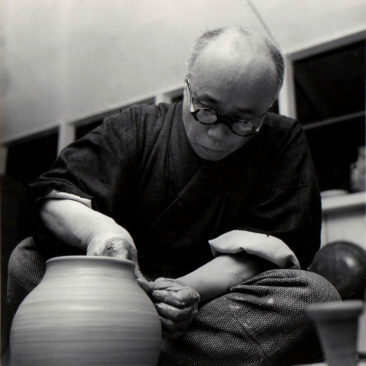 Hamada was unique in that his immense influence was felt not only in his native Japan, particularly in Mashiko, but also in the West. 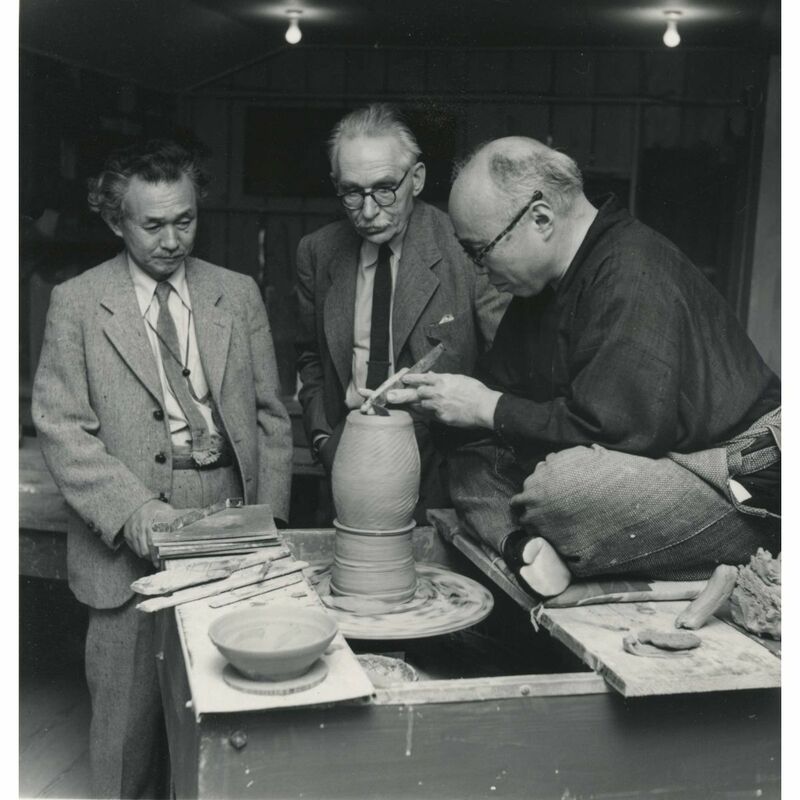 In the United Kingdom and the USA his style and philosophy became legendary and he was revered as the archetypal "Oriental" potter. In 1955 he was designated as an important cultural Property or, as it is more commonly known "Living National Treasure." A consummate potter -- a gifted thrower with a relaxed "nonchalant" style, Hamada's repertoire was extraordinary. His brushwork contains such energy, his patterns, although controlled and visually complicated, seem to have been born in a moment of creative energy. He has been called one of the greatest abstract expressionists of the Twentieth Century. Today his works are greatly sought after and attain high prices at auction.